Over-the-Rhine’s biggest egg hunt returns April 13th to Washington Park from 10a-4p! Participants may select one heat to participate in. 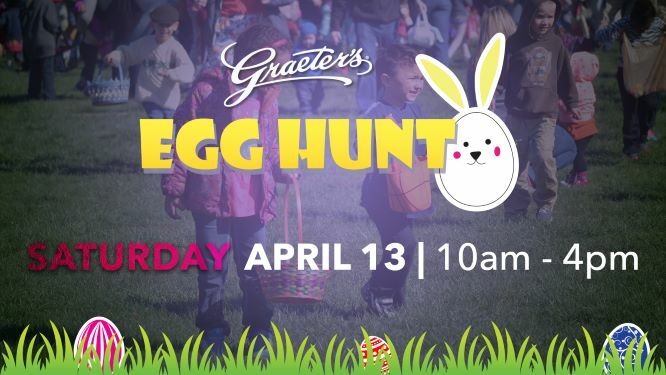 We do not recommend children under the age of 3 participate in the Egg Hunt but there are plenty of fun activities for children under 3 to participate in, as well as candy and eggs throughout the park and at vendor booths for children who aren't participating in egg hunts. Special thank you to our sponsors Graeter's Ice Cream, Galerie Candy and Gifts, Mix 94.9 and Oriental Trading! OTR 5K - A Summer Celebration!